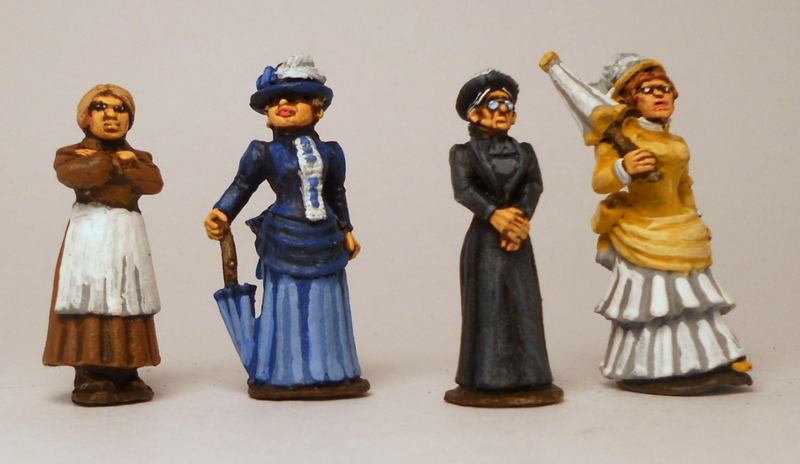 Here is a quick shot of some Victorian ladies that I recently painted for a friend. I recognize one of them as a Foundry figure, but I’m not sure about the other three. They were fun to paint.